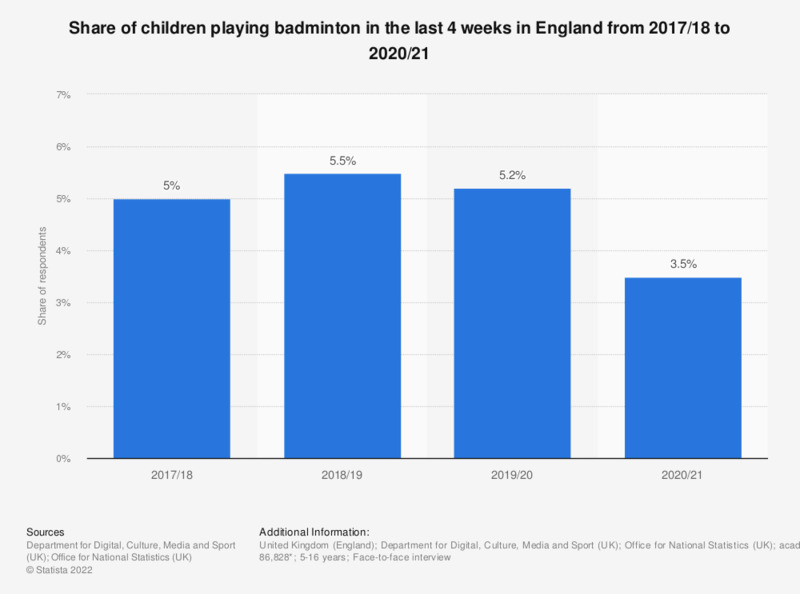 This statistic presents the share of children recently playing badminton in England, as of annual surveys conducted between fiscal year 2010/11 and 2017/18. The participation of children in the age between 11 and 15 gradually increased from 2010/2011, reaching its peak of 25.4 percent in 2013/2014, and then decreasing to 17.9 percent in 2017/2018. 2017/18: 5-10 year olds n= 909; 10-15 year olds n = 671; 2015/16: 5-10 year olds: n= 1,096; 10-15 year olds n=684.